Enter the underbelly of city life, where werewolves, demons, and vampires stalk the streets. 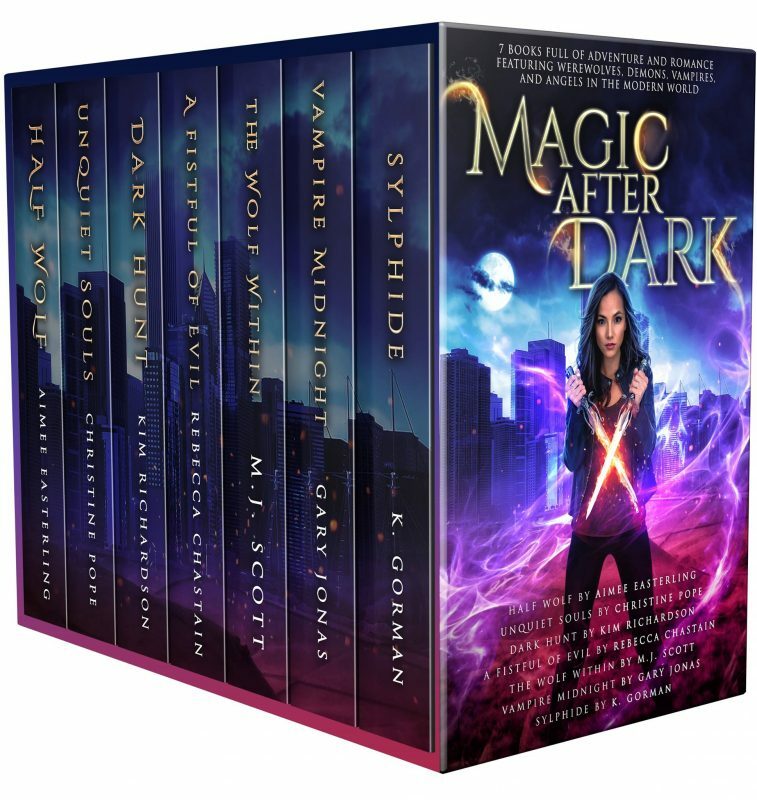 These six bestselling urban fantasy novels plus bonus novella will submerge you in a page-turning world of modern magic. Half Wolf by Aimee Easterling: When half-werewolf Fen is cast out of her home pack, she and an unlikely ally are forced to shore up her waning power in an effort to save half-shifters everywhere. Unquiet Souls by Christine Pope: When the hosts of the new Project Demon Hunters show investigate a demon-infested mansion, evil follows Audrey Barrett home...and she learns why her co-host is the last man she can trust. A Fistful of Evil by Rebecca Chastain: Madison actively avoids her soul-sight—until she witnesses ethereal monsters feasting on a stranger's soul...and the monsters notice her. Thrust into a dangerous new world, Madison must master her atrophied abilities fast if she has any hope of survival. The Wolf Within by M.J. Scott: Ashley Keenan just wants to be normal. But then her ex-lover, now werewolf, turns up with a lead on the vampire who murdered her family. To survive, she might just have to leave normal behind and embrace her inner monster. Vampire Midnight by Gary Jonas: Kelly Chan agrees to kill a vampire, but finds herself under his spell. How do you kill something you've been commanded to protect? Sylphide by K. Gorman: When a private investigator breaks into Allish Statia's apartment and threatens her with a gun, she is able to use her Wind Elemental powers to subdue the man—but he is only part of something much bigger. Something that wants the destruction of her, her husband, and every single Mage in the city.